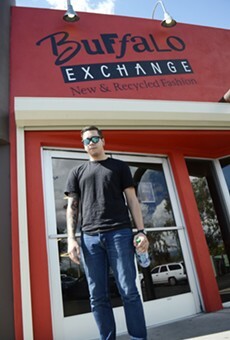 Buffalo Exchange is the Bloomingdale's of urbane, resale clothing, full of trendy, seasonal, high-quality clothing and accessories for both men and women. It's one-stop-shopping for, say, two whole outfits, sunglasses and a hat for around $100. And you'll still be wearing those pieces 10 years from now. The buyers at Buffalo Exchange are discerning to a fault; that can be a drag when you need cash, but it means you can trust the advice of the sales staff—budding stylists all. When you take pictures of how cool you look in your newly purchased clothes, they might get posted on the website.